Family sized tent light enough for backpacking without being crazy expensive. Well designed for easy set up despite the size and handles weather well. 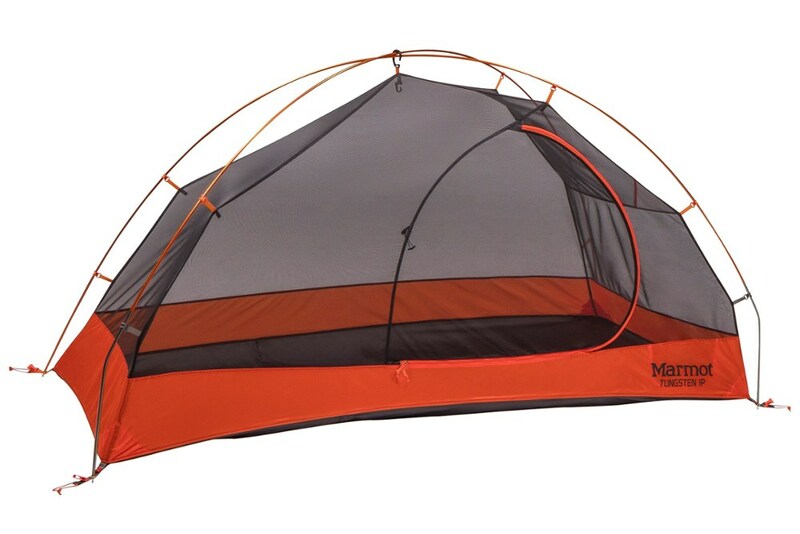 Kelty has been in business long enough to have a pretty good idea what they are doing. 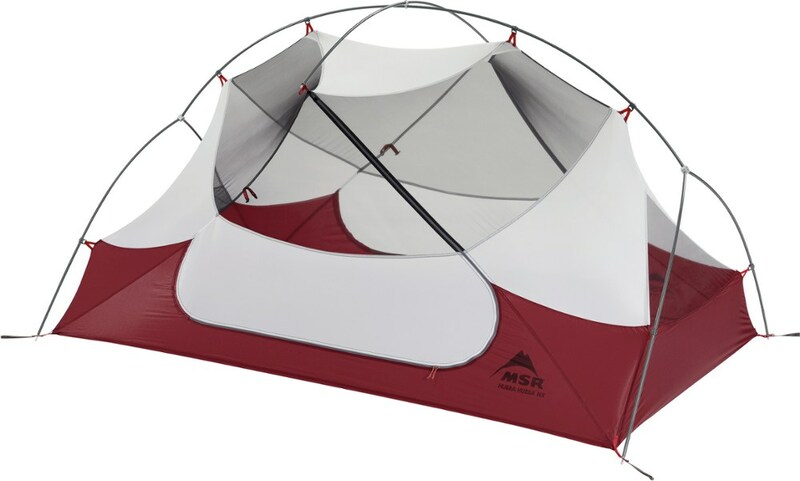 The Trail Ridge 3 is a great example of a product that takes advantage of that experience. 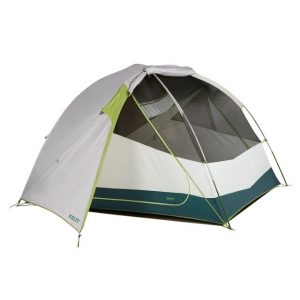 Setting up the TR3 is totally intuitive and surprisingly easy for a tent of this size. Once the poles are assembled and the ends are fitted to the tent corners the body attaches quickly using multiple clips along each pole. The fly is easily position based on color coded clips. 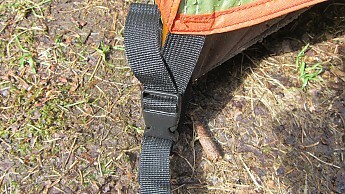 Kelty uses a clip system to attach the fly to the tent corners and once clipped tension can be easily adjusted via a belt system on the clips. 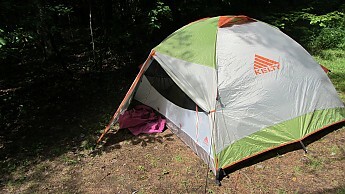 There are multiple guy out points that allow the tent to be well stabilized. A footprint was not included but was purchased separately and mated easily with the tent during set up. Being a larger tent, staking and guy line set up were important to getting a good pitch. Having experienced heavy wind and multiple downpours from mountain thunderstorms I was impressed with the TR3's ability to handle it all. 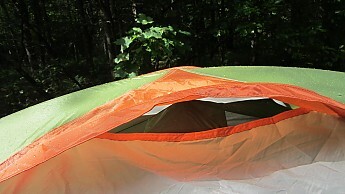 One day saw two major gully washers with big winds while we were away from camp and had left both vestibules half open. I was pleased to see that the interior was completely dry when we returned. Between the screened door panels on opposing sides and the fly vents on the other two sides there was ample ventilation in the tent even on wet, muggy days. The interior of the TR3 reaches a height of almost 4 ft at the peak of its dome. Not enough to stand up completely, but lots of room for getting yourself or the kids dressed. We have have only tested it with one child but there was plenty of room so it would likely fit a larger family while the kids are smaller. There was room for some gear inside as well as plenty of room in the vestibules for our packs, boots and wet rain gear. Interior pockets usually seem more of a joke to me, but these actually seemed to be in good spots and functional so unlike most they actually got used. 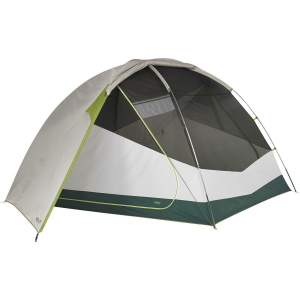 This is a big tent and so naturally packs big. 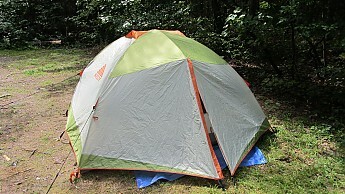 The weight if distributed among 3 adults would be less than 2lbs per person, but even splitting the fly and tent leaves you with a pretty good sized piece of gear to stow. Carrying the entire package as daddy I lash it externally on my pack rather than try to cram it inside. I don't find the weight an issue, but I do wish it packed smaller. Even half open for ventilation there is still good covered storage space under the vestibules. Fully closed each vestibule covers 9 sq ft of ground. The panels have both zip and velcro closures so can be left partly open for ventilation as desired. Kelty's clip system for attaching the fly is literally a snap to use. 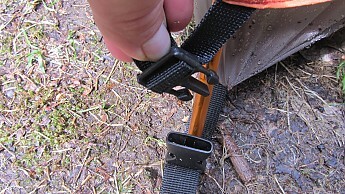 Adjusting tension is also easy using the strap that runs through the clip. Easier than adjusting your hitches with cold fingers in the rain for sure. The guy lines come equipped with these clips for easy adjustments there too. 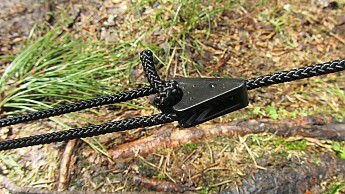 The line can be secured at the desired point by snapping it into the clip. These held up great during wind events. This isn't the greatest picture but it shows one of the protected roof vents in the fly. The sort of eave over the vent keeps out rain but catches a breeze to get air moving through the interior. 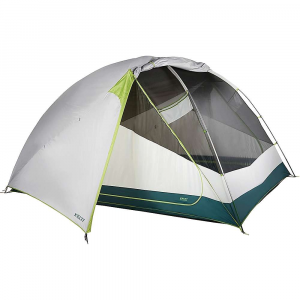 Over all I can definitely say I recommend this tent for appropriate use and especially if you can find it on sale as we were lucky to do. If you demand UL gear I'd say look elsewhere but in terms of functionality and performance I find the Trail Ridge 3 to be worth its weight. As our daughter's trail legs get stronger we expect to spend a lot more time on trail as a family and I see the TR3 getting a lot of trail time as well. Nice overview! 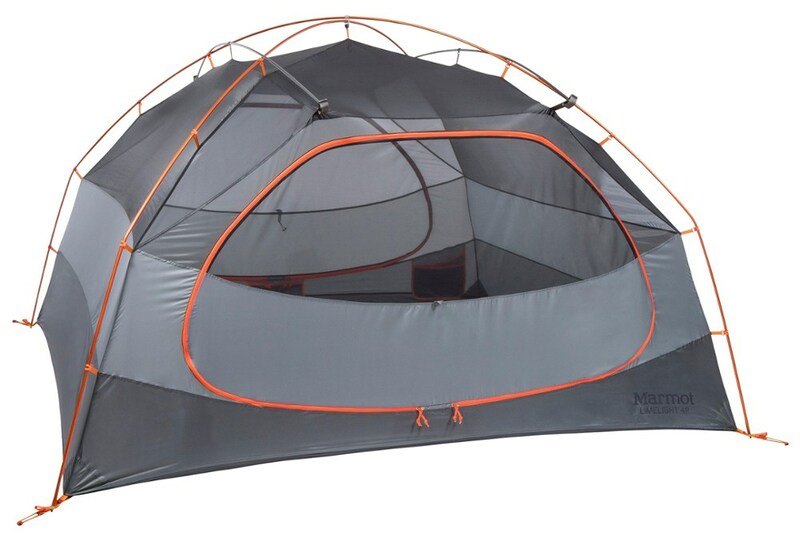 Are the poles threaded into a grommet, or does this tent use a Jake's Foot? What does the minimum weight consist of? 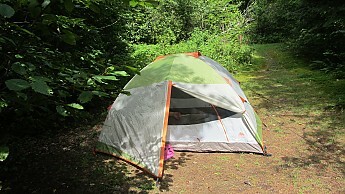 Great review been looking for a little large backpacking tent that does cost a lot. @Dennis Minimum weight usually means stripping off the stuff sacks and other extraneous items. 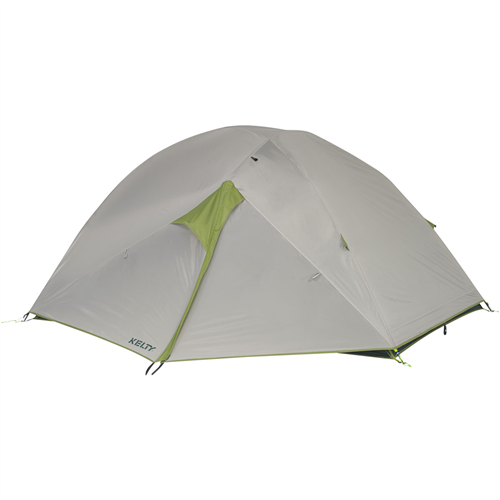 Kelty lists total package weight as 6lb5oz for this tent if that helps.